With my knee slowly recovering from whatever I did to it during the BMC challenge, this Sunday proved a good opportunity to brush off the cobwebs a little and put in some nice 'easy' flat miles. 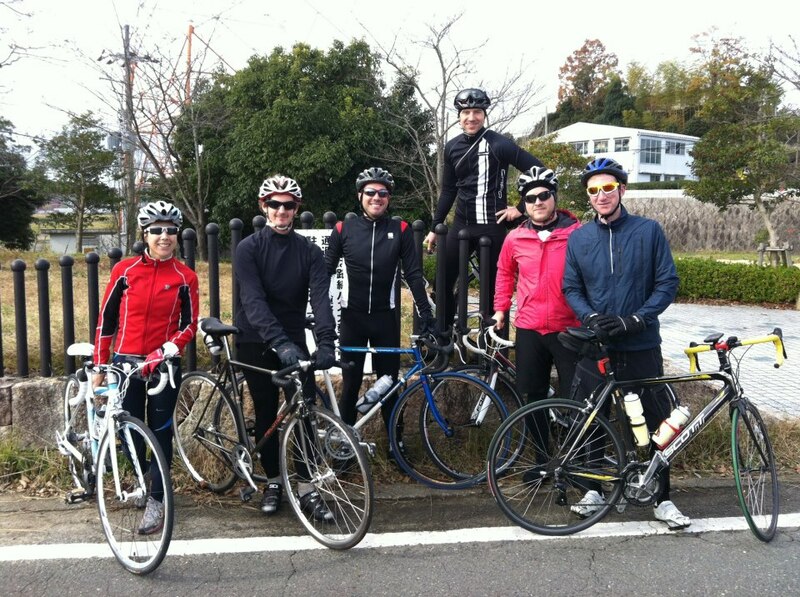 With snow beginning to fall in the hills and my knee still not in good enough shape to take them on anyway, we made the decision to run a long, flat ride to Kizugawa and back. It's a ride I'm quite familiar with now - it's where I got hit by that Prius and it was 75% of the BMC challenge - but it's nice nonetheless. I definitely felt it in my legs - I was beginning to ache pretty hard with about 20 km left to go. It's amazing what 2 weeks more or less off your bike will do to you. Hopefully it'll come back soon, since we have some great things planned for the first half of next year.